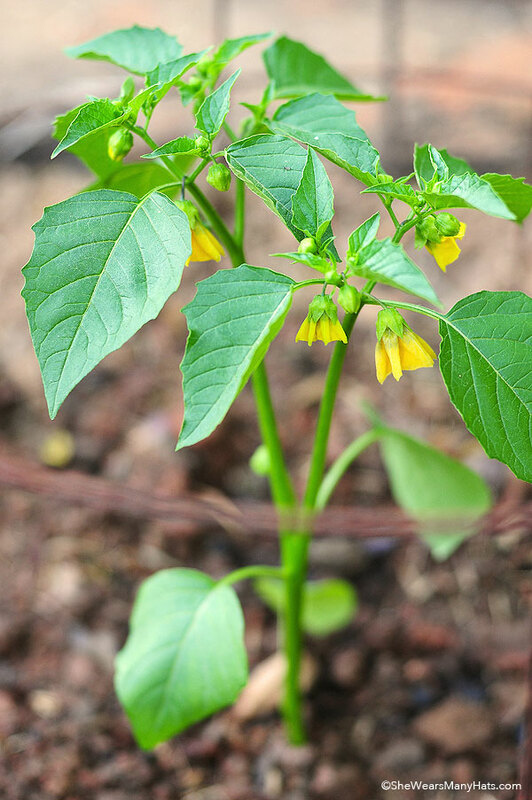 Easy tips for Growing Tomatillos in your own garden. Interested in growing tomatillos? 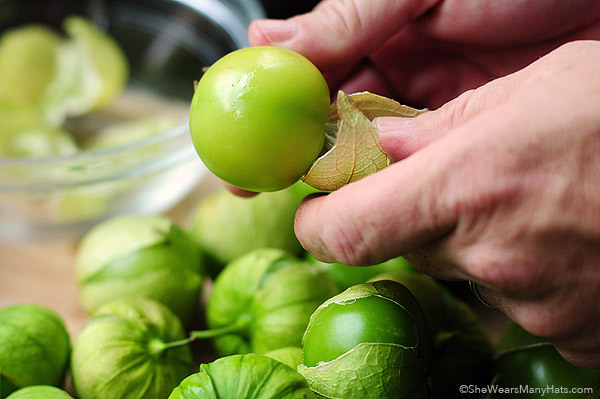 Tomatillos are similar to tomatoes, but with a papery husk. Some even refer to them as husk tomatoes. They remind me of little Chinese lanterns. Such an interesting plant, and such a wonderful addition to a culinary garden too! They sure are fun to watch grow. As they grow, the papery husk will begin to dry and split, which is also a sign they are getting ready for harvesting. The papery husk are easily removed before cooking. Unlike tomatoes, I think tomatillos are best when cooked. They’re a little tart for eating right off the vine, unless they’ve passed the green stage, and have ripened into a pale yellow. 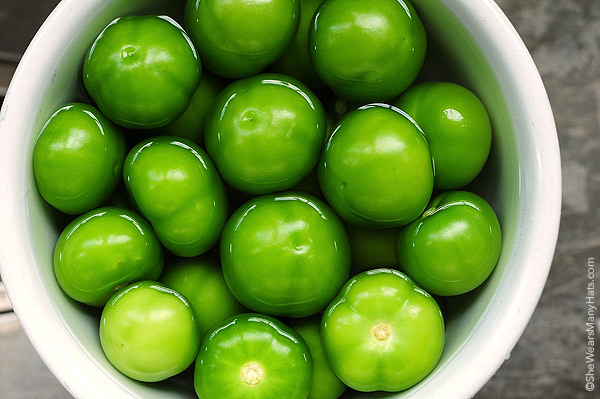 When roasted, tomatillos make a wonderful base for Salsa Verde, a bright green salsa made of tomatillos, peppers, onions, and cilantro. If you’ve ever grown tomatoes, tomatillos require similar conditions. Full sun. Plant in a sunshiny spot. For best results choose a spot that gets 8 or more hours of sun. A rich, moist soil that drains well. 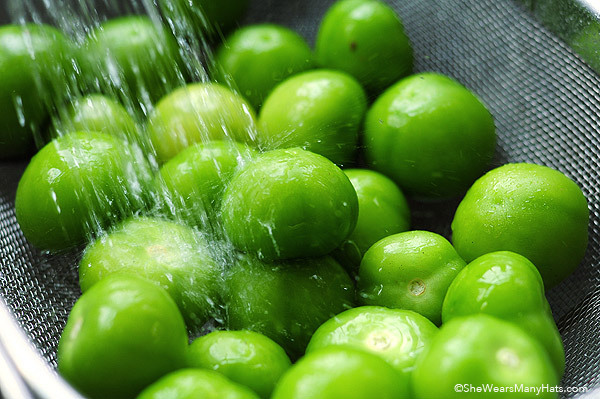 They like to be water frequently, but tomatillos don’t like soggy feet. Tomatillos like friends. They need to be planted in multiples in order to pollinate and produce fruit. So plant at least two. Like tomatoes, indeterminate tomatillos will need support as they grow or they will be floppy. A simple cage or stake will work fine. Also, as with tomatoes, tomatillos are the perfect vegetable for planting in containers. Just make sure your container is large enough, and water often to compensate for container plants drying out quicker. They are very productive when happy. One plant can produce up to 10 pounds or more of fruit. Bring on the Salsa Verde! 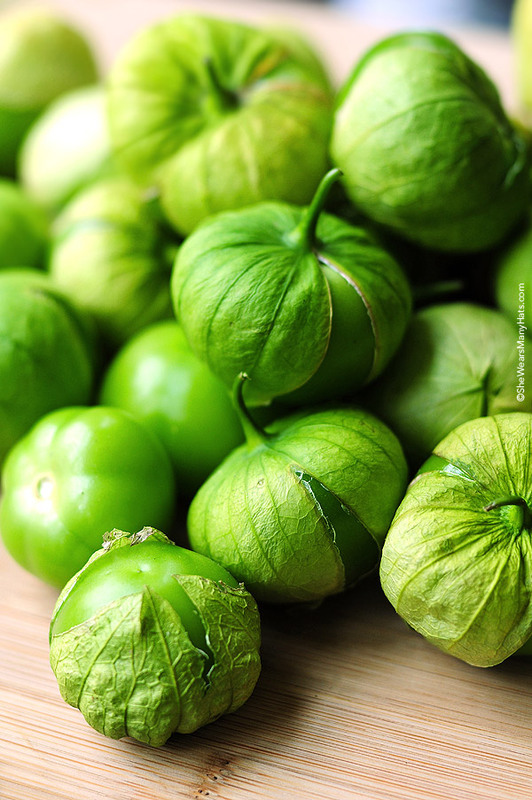 Next time you’re planning your garden, be sure to plan for a pair of tomatillos for a flavorful change of pace. And go ahead and stock up on the chips for that homemade Salsa Verde while you’re at it. Originally published June 2, 2013. Updated April 28, 2015. I wish I had these growing! Yours look beautiful! I haven’t tried growing tomatillos. I need to change that. I’m going to be doing a much bigger garden next year and I never thought to grow tomatillos but now I know I’ll have to add them! 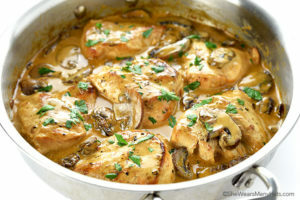 Such a good flavor for salsas and sauces! I have never grown tomatillos! They are such a gorgeous color!! I may just have to get some this year even though it’s sorta late! Gorgeous! Now if only I knew about the pairs required before my mom gifted me only one. Eep! I’ve never even considered trying to grow my own tomatillos, but you’ve inspired me to add them to my list for next summer. So pretty! These photos are simply breathtaking! The plants and tomatillos have grown beautifully! I planted two plants this summer. There are so many flowers right now, and it’s been a blast watching them. I can’t wait to harvest. These are beautiful pictures of your tomatillos! I have often thought about growing them, but never tried. You’ve convinced me, they are on the list for next year. First year I staked my tomatillo and got very small crop. Now I plant one with no support and I get a huge crop ! I grow tomatillos in my garden every year. My salsa recipe uses them. I’m sitting here with my jaw open. I would SOOOOOO love to do this!!! 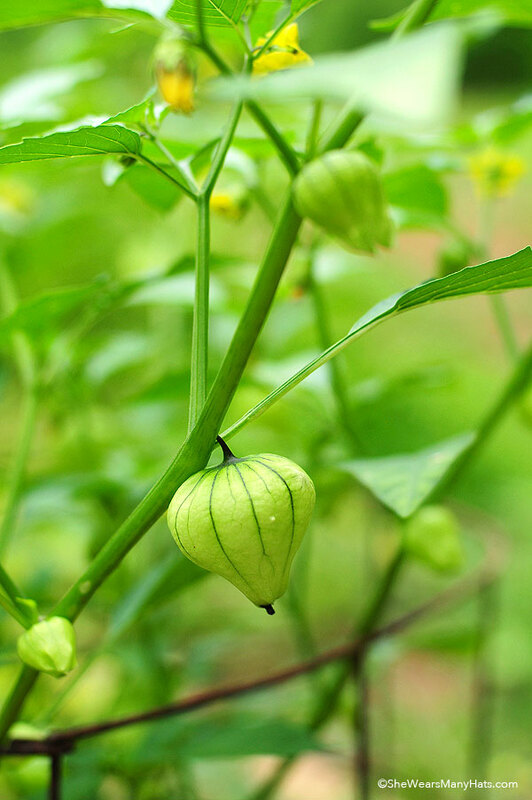 On my weekend task list – start a tomatillos garden!!! I looooove tomatillos. I’ve never thought of growing them before. I am growing one plant in a container, didn’t know that there should be 2 plants. It has lots of fruit on it…. Such a neat plant. Can’t hardly wait for them to ripen . They may go a bit yellow I guess or stay green? Guess I better stake it because of the wind. I planted two plants, staked them in tomato cages!! The plants are doing fine and full of blooms but no fruit!! Disappointed a touch!!! What’s the issue?? ?